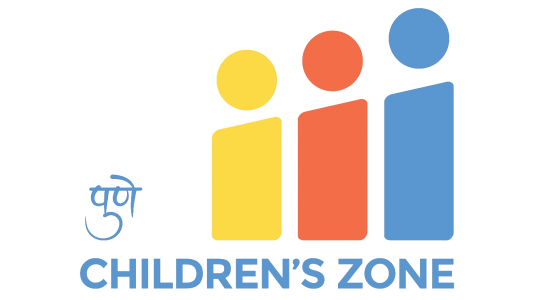 The Pune Children’s Zone is a program that aspires to positively impact All Children in Pune over the next 10 years to help them have successful life outcomes. Research has shown that early childhood (0 to 6 years) and adolescence (12 to 16 years) are the two most critical periods for cognitive as well as physical development of an individual. It is now also widely acknowledged that what goes on in a child’s environment whilst he/she is still in the age group of 0-3 years could well determine life outcomes. Any damage during this period may not get reversed even by an excellent formal education experience later. There has also been enormous research and deliberation on the implications that, the accident of birth has in determining life outcomes for an individual, and how adverse childhood experiences (ACE), can drastically reduce chances of success. Research and practice, in multiple developed as well as developing countries, has also proved that, if interventions focussed on Responsive and Positive Parenting are made in the very early stages of childhood (0 to 3 years), and the child grows up in a more positive environment, where he/she is able to develop secure attachments with adults, then the likelihood of a normal (cognitive, emotional and social) development path increase manifold. In other words – a secure attachment prepares him to effectively deal with any trauma during childhood. For children coming from disadvantaged backgrounds – Health and Well-being, Parent and Family Investment and an Effective Education become extremely important levers for their future life outcomes. This along with the critical development age groups – 0-3 years, 12- 16 years and finally support with career readiness, make it an essential as well as complete holistic development cycle, that advances from womb to work. Essentially speaking, support and services that wrap-around a child during these age groups and focused on these levers is the only validated way to realize their potential, leading them towards successful life outcomes. Through the Pune Children’s Zone (PCZ), we aspire to build partnerships with organizations, governments, schools and communities to work on the levers (health and well- being, parent and family investment, effective education) and focused in the age groups 0-3, 12- 16 and then on career readiness thus completing the ‘womb to work’ journey. We will also run programs directly to support the areas mentioned above where necessary.